According to the National Institute on Drug Abuse, in 2006, 16.2 million Americans aged 12 and older had taken a prescription pain reliever, tranquilizer, stimulant, or sedative for nonmedical purposes at least once in the year prior to being surveyed. 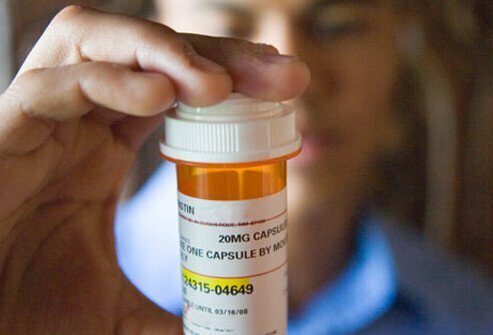 Up to 7 million people, or 2.8% of the U.S. population age 12 or older, had used prescription medications for nonmedical purposes in the month prior to the survey. Although any type of medication has the potential to be abused, certain groups of prescription drugs are most commonly abused. Painkillers: Opioids such as codeineand morphine are narcotics prescribed to treat pain. Other drugs in this class include oxycodone(OxyContin), hydrocodone(Vicodin), meperidine(Demerol), hydromorphone(Dilaudid), and propoxyphene(Darvon). CNS depressants: Drugs in the benzodiazepine class are central nervous system (CNS) depressants used to treat anxietydisorders and sometimes for the short-term treatment of insomnia. Examples include alprazolam(Xanax), diazepam(Valium), and triazolam(Halcion). What was the treatment for your teen drug abuse? How do you recommend preventing teen drug abuse? As a teenager, which drugs have you tried? What were the first drugs you used? Please share your experience. As a parent, in what ways have you tried to prevent drug use in your children and teens? Discuss the signs and symptoms of drug abuse in you, a friend, or relative. What kinds of treatment, therapy, and medication did you receive for your drug addiction? Was there a counselor or group that helped you as a teen with issues of drug addiction or abuse?